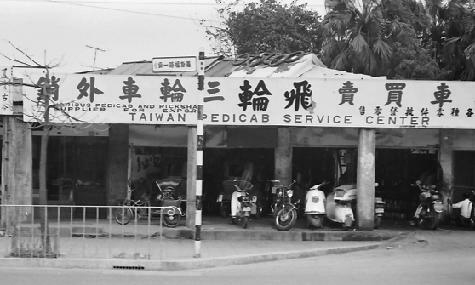 In March of 1973 we spent 4 wonderful days in and around Taipei, Taiwan. This was quite a pleasant trip full of great scenery, a very different lifestyle, and of course some great food. Besides the usual Chinese fare, this was my first taste of pidgeon, very tasty. We found the people very friendly and the weather was excellent. 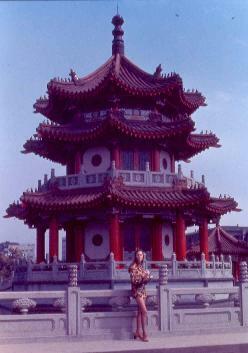 Rosalie in front of a Chinese pagoda in Taipei. 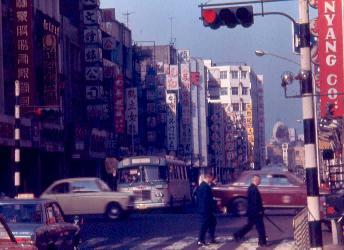 A typical street scene with busy traffic and lots of signs. 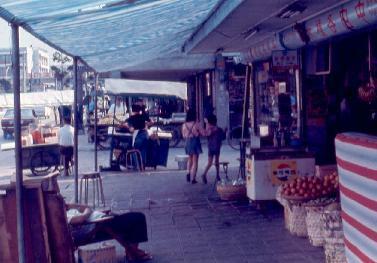 A sidewalk market full of new and interesting delights. 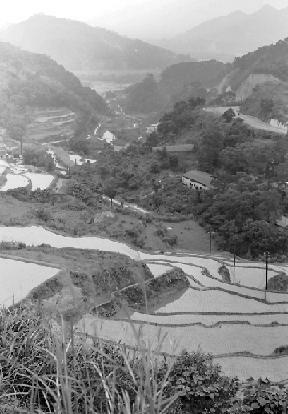 Rice paddies terraced on the hill sides.